Deodorants and antiperspirants have gotten a bad rap for their rumored harmful ingredients. The key word there is “rumored,” because despite claims that underarm products can cause cancer, there is no strong evidence that ingredients like aluminum chlorohydrate and parabens increase the risk of devloping the disease. But that doesn’t mean you shouldn’t go the natural route. If you’re making the switch to all things natural beauty (it’s Earth Month after all! 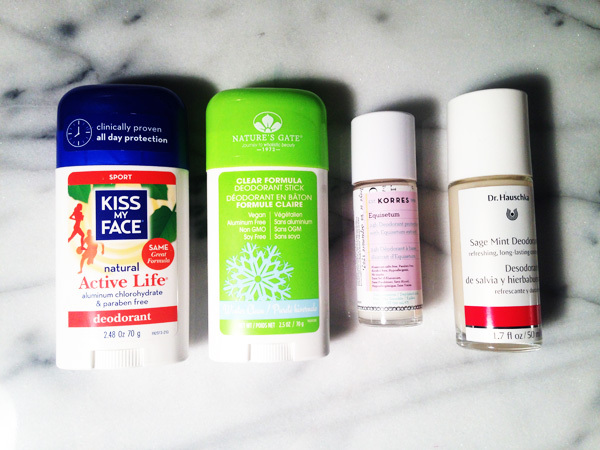 ), here are four natural deodorants that actually smell great and work. Korres recently debuted their Apothecary Essentials Collection and one of the most exciting new products is their Equisetum 24h Deodorant. The completely hypoallergenic and aluminum-salts-free deodorant relies on equisetum, a grass-like plant that’s known for its astringent properties, to provide the benefits of an antiperspirant. It also features silica to protect against sweat. 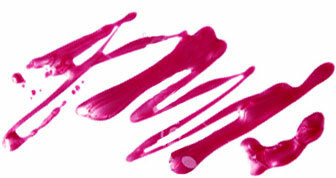 The roll-on dries quickly without leaving any residue, and smells like a fresh bouquet of flowers. If you prefer zero fragrance, this vegan deodorant takes the cake. Although it takes a little bit longer to dry, the clear formula works well with that LBD and won’t leave you smelling like B.O. after an hour. We love the fresh mint scent of this roll-on deo from Dr. Hauschka. It gives us life. Seriously, we caught ourselves sniffing our pits just to get a whiff of that scent! Witch hazel and sage extracts offer up a natural anti-microbial properties to keep smelly bacteria away. It’s perfect for delicate skin and won’t clog pores. The brand’s Rose Deodorant is pretty amazing too. If you’re an athlete who doesn’t believe that a natural deodorant will work on you, you definitely haven’t tried this Kiss My Face Active Life Sport deodorant stick. Botanicals and oil-absorbing ingredients keep you dry and fresh while working up a sweat. Plus, it kind of smells like tangerines. Need we say more?